With an estimated £1.6 billion being spent in the UK alone this Valentine’s Day, why not spend a little on treating your number one – yourself! Who isn’t bored of the typical clichés of a bunch of roses or an over-priced meal out, OR the sadness we are supposedly supposed to feel if we may be single on this holiday! Rather than waiting around for the right gift to come, why not write a love letter to yourself with these amazing beauty products that will have your skin glistening. We round up our top 5 beauty products under £20, to go and impulsively gift yourself with this Thursday 14th! Vegan and cruelty-free, tell yourself that this is a guilt-free purchase. Although an iridescent glitter lip product may seem slightly ‘extra’, this gloss is basically the student equivalent of a diamond ring this Valentine’s Day. Although the ultra-sparkly product may appear excessive for many, the non-sticky formula means it is a perfect product to add on top of your tried and tested lipstick looks to create a glimmering, foil-like effect on your pout. Pair with a soft and dewy bronzed skin and bushy brows to create a bold and mesmerising finish. Furthermore, this lip topper can be easily doubled up as a liquid highlighter, a lip gloss on its own, or even shimmering eyeshadow. One thing is for sure, your own sparkle will be catching people’s eyes. Cruelty-free brand Burt’s Bees has become a cult favourite for both young and old for both their saviour formula and their iconic yellow chapsticks, known to solve the worst cases of chapped lips. Although many wouldn’t associate the brand with skincare, their all-natural mantra extends into their products and produces quality, yet affordable remedies. This face mask is scent free and infused with sage, and leaves the skin feeling fresh and toned, with results associated with a much larger tag than £12. This product should become for sure a staple in your routine throughout these harsh winter months to restore winter’s harsh grip. If we were to choose a bargain buy, this certainly would bee ours! Another cruelty-free brand takes our gifting lineup in the form of Pixi Beauty. Reaching worldwide attention, the brand accelerated after the release of their renowned Glow Tonic; a light and nourishing toner to create a glowing and bright base. The secret behind the sparkle is Ginseng, an ingredient which has been used in traditional Chinese medicine for centuries. The Glow Tonic is an award-winning product, and the supposed magic is down to Pixi’s founder that has been in the cosmetic industry for over 20 years. Boasting an ethos of natural beauty, the Glow Tonic is certainly a product to help you fall in love with your skin this Valentine’s Day. Claiming the bold motto of ‘Make Them Stare’, next up on our gifting roundup is a product for those not seeking a subtle make-up look. 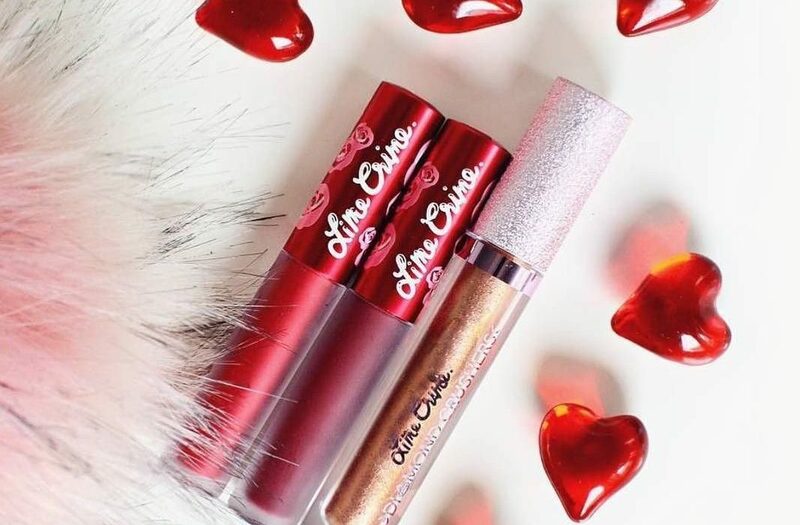 Doll Beauty, the Manchester-based makeup giant has made over £3.2 million in 2 years the best friend duo behind the brand certainly know their target market. In collaboration with fellow Manchester powerhouse PrettyLittleThing, Doll Beauty have created a gorgeous rose gold tone highlighter with exceptional pigmentation, to ensure that after application, all eyes are certainly going to be on you. Last but certainly no means least, Mario Badescu is a name well known but equally well deserving of its cult status, with over 1,000 5 star reviews on Beauty Bay. For those who aren’t as familiar with the booming brand, Mario Badescu’s facial sprays are a staple item in every makeup artist’s (MUA) and enthusiasts kit alike, mainly due to both their versatility and affordability. The rosewater spray provides a long overdue hydration boost to revive a tired complexion, to prep skin or for a daily moisturiser. Furthermore, many have used Badescu’s sprays to replace their artificial makeup setting products to instead seek a fresh, natural and dewy finish rather than using more expensive products which clog pores and de-hydrate the face. Badescu’s rose water spray is easily transportable and can become your skin’s equivalent to a quick coffee boost. To both lift your spirits and keep your skin refreshed, we feel this rosewater facial spray beats a boring old bunch of flowers any day!